New Friends, New Friends!!! 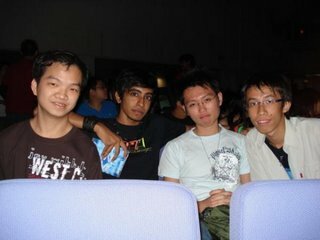 On Merdeka eve, I met these nice guys..."all of sudden". 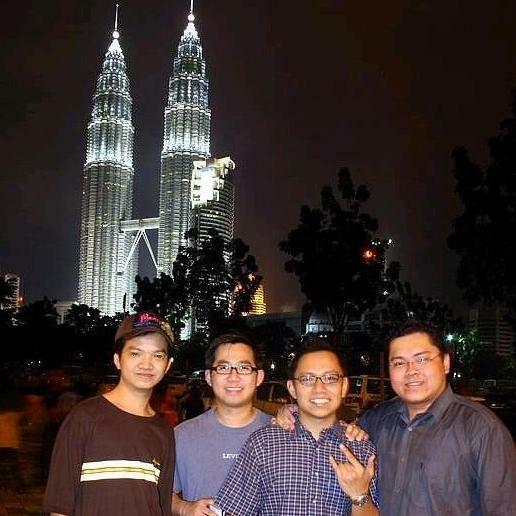 Hahaha...Well, it was a meet-up for Malaysian forumers from SkyscraperCity.Com, arguably the world's largest real estate forum with more than 57,000 members representing different countries all over the world. Remember, Patchay was an active forumer there? Remember now then, at least for "Countdown 2020" Malaysia section (see right-sidebar Avenue [P]). Cheers. Sadly, out of the hundreds or thousands of Malaysian members...only these few "managed" to turn up that night. We had dinner, walked around and...(speechless). 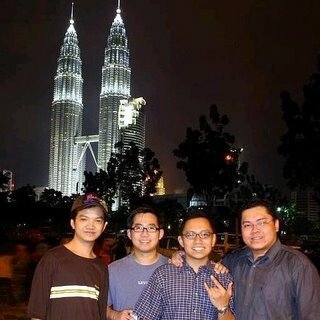 It was a very crowded day at KLCC indeed. There was an organized concert with some Akademi Fantasia celebs on stage and a Merdeka rally organized by UMNO Youth. (Phew...so dangerous when we walked pass these people). Along the way, I even witnessed some stunt acts by the so-called "Mat Rempit" gang as they raced dangerously on city roads at midnight. 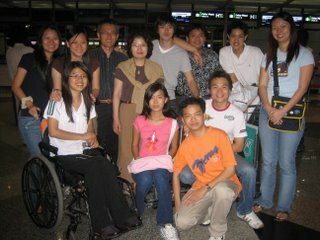 All in all, we enjoyed ourselves, evidently shown by our smiles above. We departed after watching the magnificent fireworks (see The Spirit of Merdeka post) to Steven's at Taman OUG, where we hangout until 4.00am. RLC Movers & Shakers Concert with the PlanetShakers Team from Queensland, Australia. That night, we had a wonderful concert and we were all touched by the powerful message. Farewell to old buddy, Joel Soon. 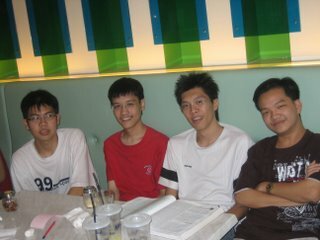 Picture taken when we were having lunch in Pizza Evo at TheCurve. 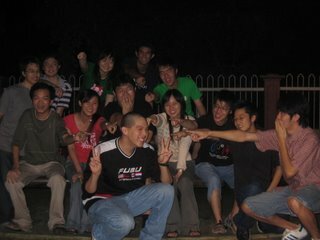 My first Monash buddies BBQ gathering, held at William's condominium. Ooops...everyone here is pointing fingers at "Gay Bing". Never mind the scandal, it has no importance at all.